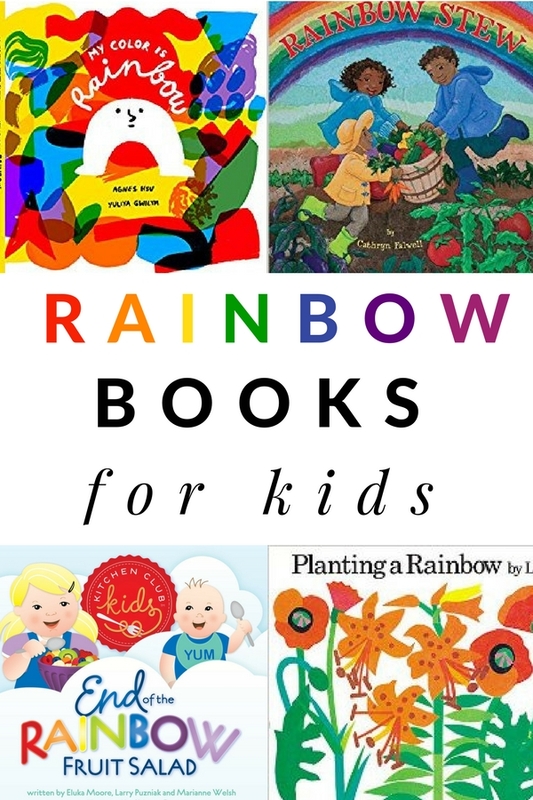 Spring is around the corner and it’s a great time for a rainbow reading challenge. 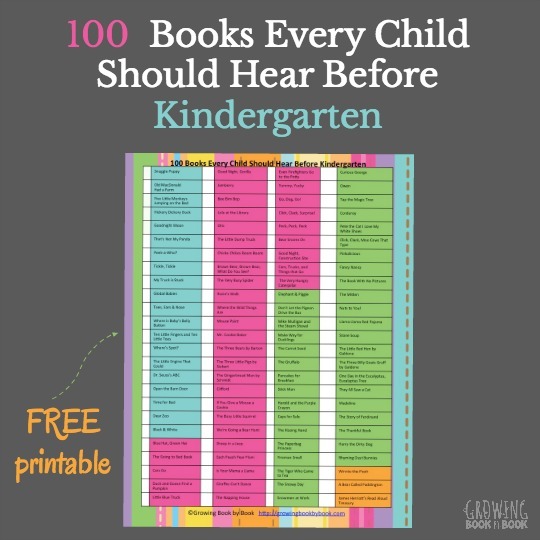 Whether you want to do this challenge in the classroom or send it home for families, young children will enjoy listening and reading books. This is pretty easy! 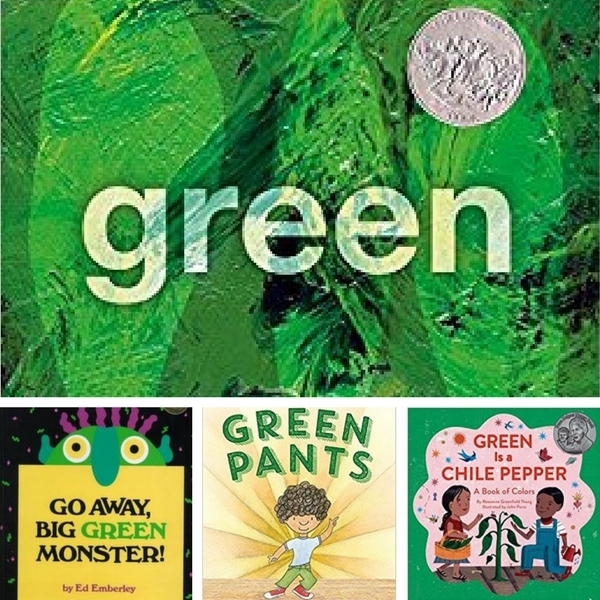 Read a book each day for a week that has a color word in the title or the cover of the book is the designated color of the day. 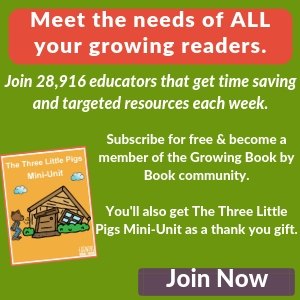 We have a FREE booklist and challenge sheet for you below towards the bottom of the post. Now for the fun part. 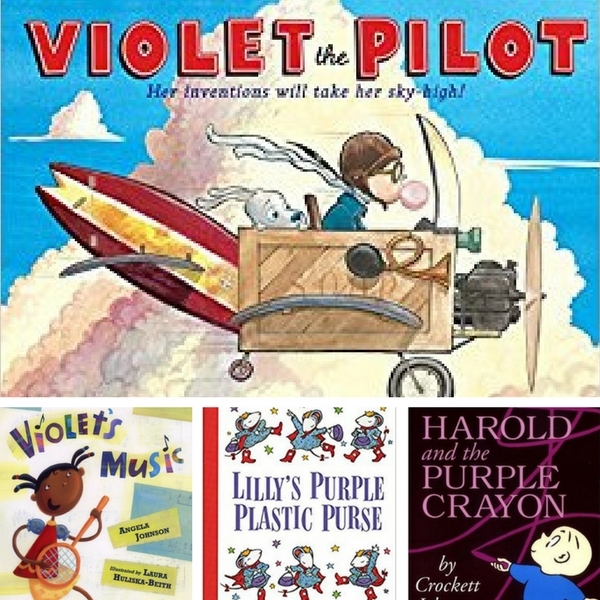 Here is some book inspiration to get you started. 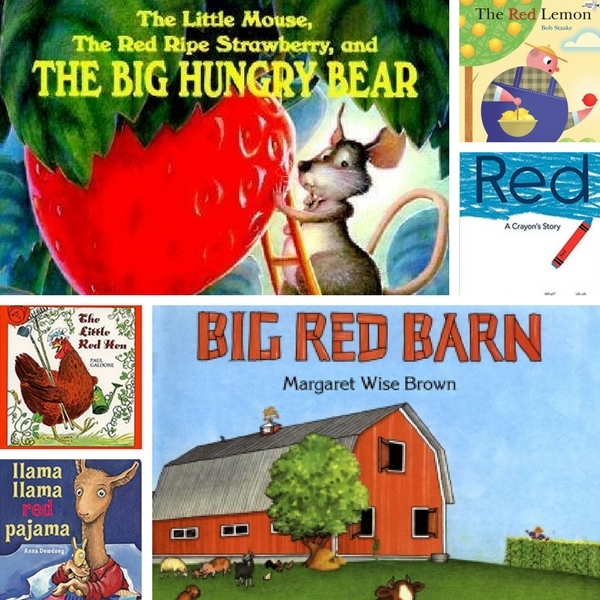 Though this challenge can be adapted for all ages, the books I’ve included below fit well for young children. 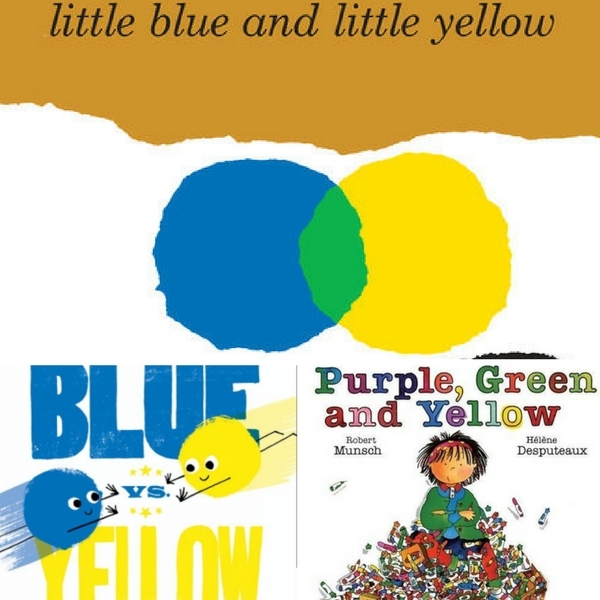 Each Orange Had Eight Slices by Paul Giganti Jr.
Little Blue and Little Yellow by Leo Lionni- Try this sensory writing tray for Little Blue and Little Yellow too. 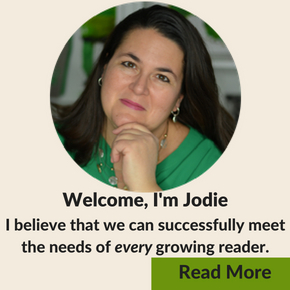 *Early chapter book readers may enjoy The Rainbow Series by Daisy Meadows. Use this book list and challenge sheet to find and record the books you enjoy and track your progress. Celebrate with a rainbow fruit salad on the last day. Just click the green “Click Here to Get Your Free Printable” button below, enter your email, and it will be sent to you right away to download. Or CLICK HERE. 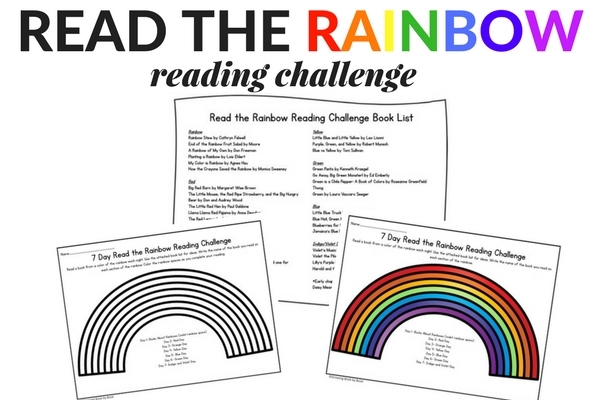 Share your reading pictures on Twitter or Instagram and use the hashtag #ReadtheRainbowChallenge. We’d love to see the books you are enjoying. 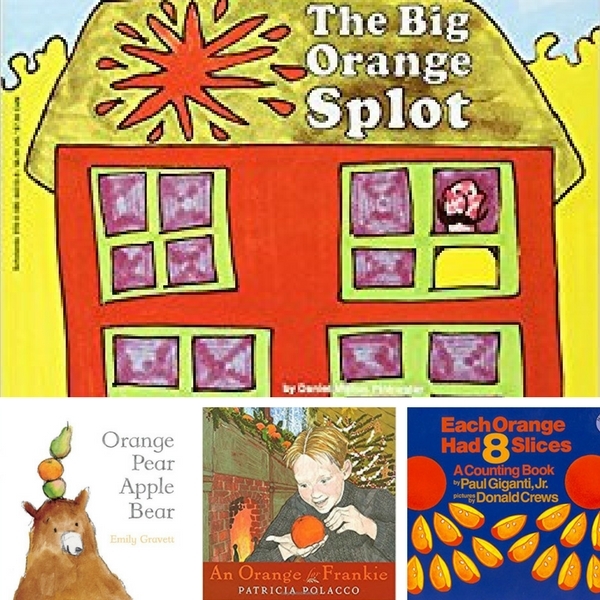 Jodi I oredered several of the books on the reading the raiNbow challenge. 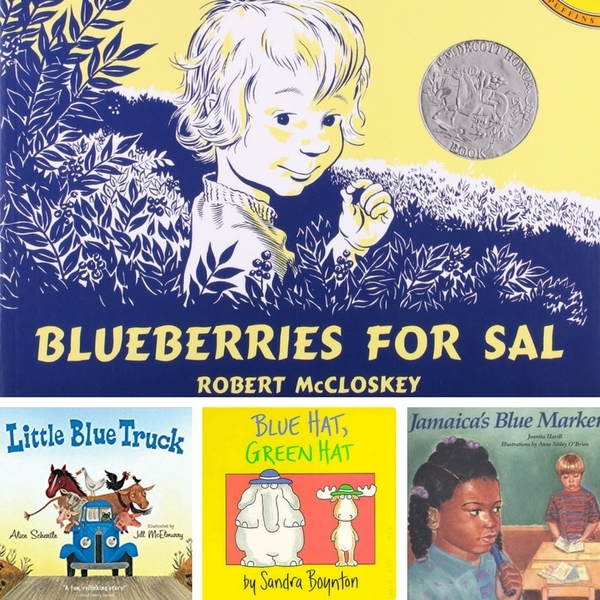 Im so excited about introducing these books to my little ones. Thank you for sharing great ideas with all of us! Great! I’m glad you are going to do the challenge. My son loves this idea so much he wants to make this a seven week challenge rather than just seven days! what a fun, fun idea, thank you! That sounds super fun Amanda! After seeing some other comments, I’m glad I’m not the only one having an issue finding your link. We would love to do this challenge with you! Please check your email. I just sent it to you. Enjoy! 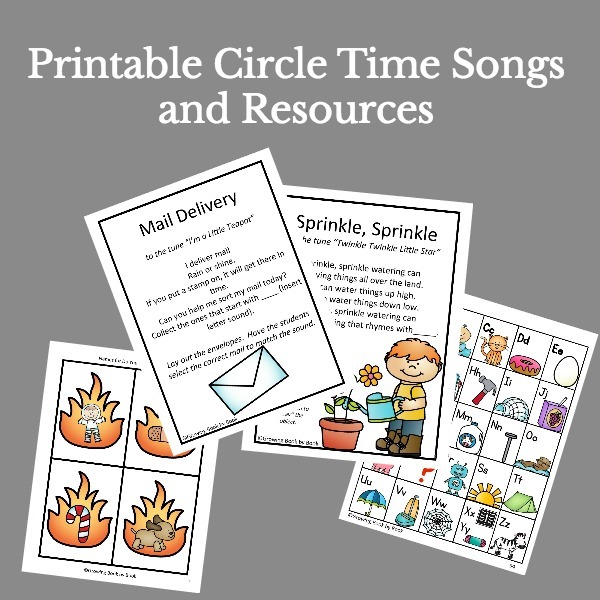 Ii would love a copy of the printables too please. I dont see a button either. Hello! I also do not see the green button to click to download the rainbow printable. Would love to get a copy – thanks! Jennifer, I just sent you an email. Hi there I cant seem to find either of the downloads as well? Would you mind sending it my way? I just sent it to your email or you can also click the green button in the post to download it. 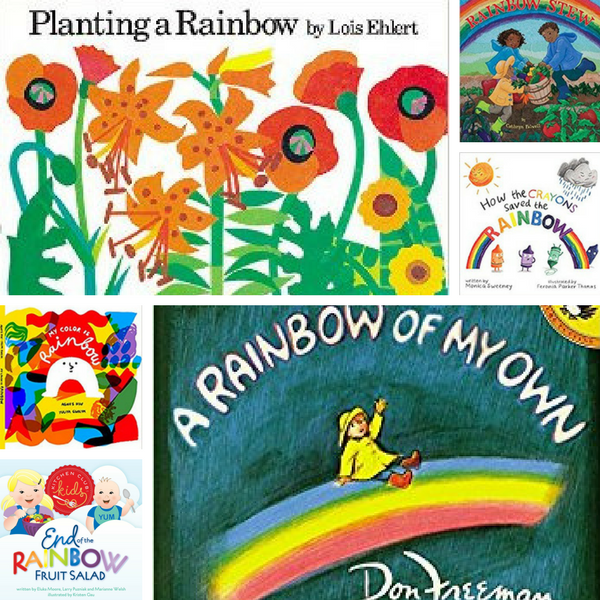 Enjoy reading the rainbow! I can’t seem to access the link To get the free booklist and challenge sheet. I clicked on the Picture and also the link at the bottom of the page where it says to Grab them and nothing is HAppening. I just sent you an email that will help you get the download.